When the temperatures drop, the weather gets colder and the sun sets earlier, we seek to spend more time inside than out in nature. Movie nights are a fun and social event and during fall and winter, it’s okay to gather in front of the television with some friends, drinks and a big bowl of popcorn. With Halloween on the horizon, it’s pretty obvious what kind of movies are most likely watched on such movie nights. Something that chills you to the bone, that makes goose bumps appear on your arms, something that makes you jump in your seat or hide behind a pillow. We’re talking about horror movies! Check out this selection of 10 movies for a perfect horror movie night! Bela Lugosi, horror film legend, plays the titular Count Dracula in this black-and-white movie. Solicitor Renfield (played by Dwight Frye) is eager to visit Count Dracula in his castle in Transylvania and does so despite the warnings of the locals. What he experienced in the castle of the supposed vampire is a wonderfully spooky and nostalgic tale. The view in this movie switches. From a high-tech underground vault filled with lab coat wearing technicians, to a group of teenagers. Everything starts out like your typical teenager slasher movie: a group of young people sets out for a vacation in an isolated cabin in the woods. The warnings of locals are ignored by the fun-seeking group. And yet, while horror ensues, the film strays from the typical slasher genre and spirals into something completely new. A collection of four stories, all revolving around Halloween. They follow a school principal who’s handing out candy, five children on their hunt for Jack O’Lanterns, a group of girls on their way to a party, and an old man who despises Halloween. All their stories have two things in common: they are violent and they feature Sam, a small boy-like creature dressed in orange pajamas and a burlap sack. But who’s Sam really? The late Gene Wilder plays Dr. Frederick Frankenstein in Mel Brooks’ comedy adaptation of the famous Frankenstein story by Mary Shelley. Frederick is the descendant of the famous Victor Frankenstein, initially denying his ties to his infamous grandfather. When he inherits the castle in Transylvania however, the scientists travels to Europe to resume his ancestor’s research – with quite different results. A classic in the slasher film genre, directed by Wes Craven. Robert Englund plays Freddie Kruger, a maniac killer who stalks and kills teenagers in their dreams and even hunts them in real life. This nightmare come true is a must-see on every horror movie night, no matter how often you saw it before. The brothers Gecko are on the run from law in this movie by Robert Rodriguez and Quentin Tarantino. Their violent and bloody escape, with several hostages in tow, ends in a desolate club in the middle of nowhere in Mexico – and chaos ensues. All employees and strippers turn out to be vampires and a fight for survival ensues. Tim Burton’s stop-motion masterpiece is a seasonal film not only on Halloween but on Christmas alike. Jack Skellington, pumpkin king and star of Halloween town, is bored by his usual Halloween routine. He wants more and by accident, he discovers Christmas town. From then on he’s set on taking over Christmas – with catastrophic consequences. Stpehen King is the master of horror and of course a movie based on one of his books should not be missing from this list. Especially with recent happenings, the thought of an inter-dimensional slasher who appears like a friendly clown can send shivers down your spine. Now imagine how the kids of the Losers Club must feel, being haunted by dreadful clown Pennywise. British humor at its finest. In the zombie movie parody Shaun of the Dead, staring Simon Pegg and Nick Frost, the titular figures have a big problem added to their day to day life. As if handling girlfriend, job, living situation and family issues wasn’t enough. Now Shaun and Ed have to deal with a zombie infestation as well. 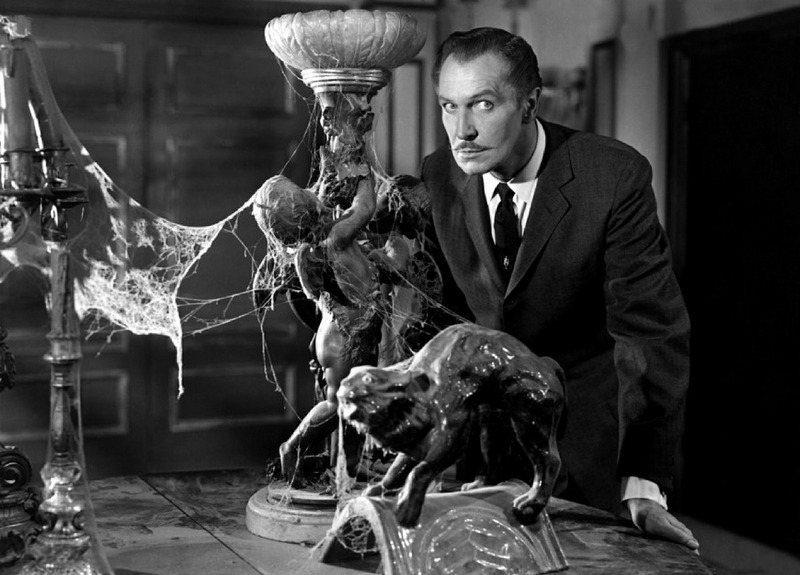 You really thought we would not list the one film that is associated with Halloween? Ha! In Haddonfield, Illinois, on Halloween night, Michael Meyers killed his sister when he was just 6 years old. 15 years later he is back and his thirst for blood is still not quenched. Did we miss your favorite horror film? Let us know!